Also, as noted in a previous post, according to the typology of Matthew chapter ten, the people of Israel are wandering in a wilderness, and awaiting God's instructions for them concerning their entrance into His promised inheritance. In this sense, this chapter is similar to the book of Deuteronomy, which is a sermon-like discourse given by Moses before the people entered the promised land. All throughout Deuteronomy, the people of Israel receive instructions from Yahweh through their mediator, Moses, to not fear the idolaters of the land (Deut. 1:21; 3:2, 22; 20:3; 31:6,8), but rather to fear Yahweh instead (Deut. 4:10; 5:29; 6:2, 13, 24; 8:6; 10:12, 20; 13:4; 14:23; 17:13, 19; 19:20; 28:58; 31:12, 13). In Matthew chapter ten, the typology between Jesus and Moses is clear. Just as Moses, the mediator between God and Israel, was a type of Christ, so Jesus is a type of Moses, only a greater Moses, who instructs twelve "rulers" of Israel in preparation for conquest. But Jesus is not set on the mere conquest of the land of Canaan (or Judea). Rather, Jesus is set on a conquest which begins in Judea, then spreads to Samaria, followed by its permeation through the uttermost parts of the world (Acts 1:8; 8:1; 9:31; Col. 1:3-6). Jesus sends (apostello) these twelve men of Israel to spy out the land even as Moses sent (apostello) twelve men of Israel (Num. 13:2, 17 LXX; Deut. 1:22-23 LXX). Jesus, like Moses of old, knows the same land is filled with idolatry and corruption like the land of Canaan long ago. He knows he is sending these men into the midst of giants -- giant idolaters and lawbreakers -- who despise and prey upon his disciples like wolves because of the God they worship and the gospel of his Kingdom which they proclaim. But it is because Yahweh is with them that they can have confidence in their proclamation of the gospel -- the gospel that Yahweh's kingdom is at hand, and that resistance to Yahweh's gospel is futile. Even when Yahweh's own people resist Him, the promise of His Word remains true. If they choose to rebel against Yahweh's gospel, not one of them among that evil generation would see the good land that Yahweh swore to give them (Deut. 1:35). This is what gives Jesus' instructions such a great sense of urgency. They were to proclaim to the inhabitants of the land -- in this case, the "lost sheep of the house of Israel" (10:6) -- that the Kingdom of Yahweh was at hand, and that those who refuse to receive His good news would suffer imminent judgment. Jesus instructs his twelve apostles, saying: "Truly, I say to you, it will be more bearable on the day of judgment for the land of Sodom and Gomorrah than for that town." (Matt. 10:15). 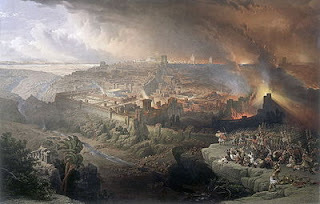 The "day of judgment" for "the land of Sodom and Gomorrah" (i.e. the inhabitants thereof) mentioned here is, logically, a reference to the final Day of Judgment at the end of redemptive history (Matt. 11:22; 12:41, 42; Acts 17:31; Rom. 14:10-11; 2 Cor. 5:10). 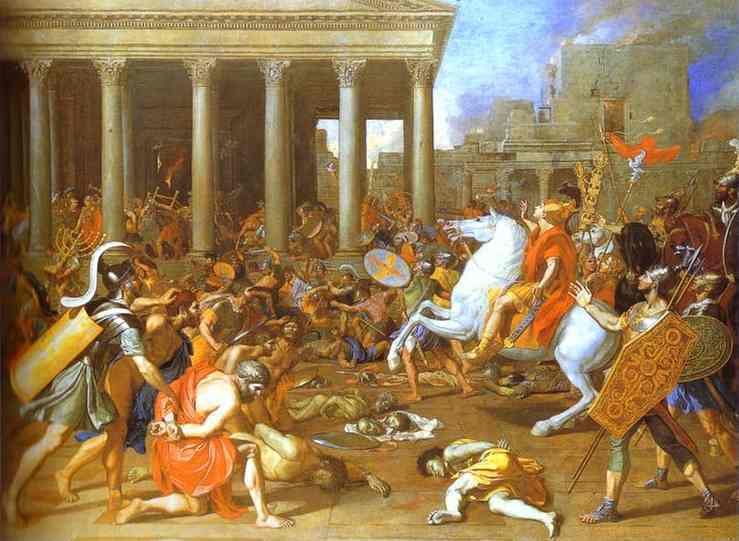 Every Israelite understood that Yahweh determined to temporally judge Sodom and Gomorrah with complete physical destruction because of it's great idolatry and lawlessness (Gen. 13:13; 18:20; 19; Deut. 29:23), which made all future references to "Sodom and Gomorrah" a proverbial expression of warning against God's temporal judgment upon an idolatrous and lawless nation like them. And by comparing Sodom and Gomorrah with the towns of Israel (and the inhabitants thereof), Jesus is, logically, comparing God's temporal judgment upon those towns of Israel too. In other words, those towns of Israel which reject the gospel of the Kingdom of God in their midst would be judged temporally like Sodom and Gomorrah because of their wickedness and lawlessness, and both of them, i.e. the inhabitants of those towns and the inhabitants of Sodom and Gomorrah, would have to stand before God together on some final Day of judgment as well. ...they will deliver you over to courts and flog you in their synagogues, and you will be dragged before governors and kings for my sake, to bear witness before them and the Gentiles. When they deliver you over, do not be anxious how you are to speak or what you are to say, for what you are to say will be given to you in that hour. For it is not you who speak but the Spirit of your Father speaking through you. Brother will deliver brother over to death, and the father his child, and children will rise against parents and have them put to death, and you will be hated by all for my name's sake. But the one who endures to the end will be saved. When they persecute you in one town, flee to the next, for truly, I say to you, you will not have gone through all the towns of Israel before the Son of Man comes. Far too often the "coming of the Son of Man" is mistaken for the final Day of Judgment or some future event (beyond our present time) in which Jesus returns bodily. But actually, the "coming of the Son of Man" is not a reference to the final Day of Judgment at all. Rather, it is a reference to the temporal day of judgment upon Israel, the (then) soon-coming judgment upon Israel which culminated in the destruction of Jerusalem in 70A.D. It is a time marked with betrayal by one's own siblings, parents, and Jewish rulers because of their allegiance to this gospel of the Kingdom of Jesus Christ (Matt. 10:17-23; cf. Luke 21:5-33, Mark 13:1-31; Matt. 24:1-35). In Matthew chapter ten, Jesus is giving his twelve apostles instructions to go into the land and to proclaim the gospel of God's Kingdom in their midst, and those who received Jesus' apostles received the one who sent them (Jesus). And those who received Jesus, received the one who sent him (the Father). Those who would not receive his apostles, and rather chose instead to rebel against the Word of the Lord Jesus Christ and the Father who sent him, would receive worse judgment from the Father than Sodom and Gomorrah on the final Day of judgment. But just as Sodom and Gomorrah faced the wrath of Almighty God temporally, so too would Israel as Jesus prophesied (Matt. 10:17-23; cf. Luke 21:5-33, Mark 13:1-31; Matt. 24:1-35).